This is an odd one. I was wandering by the Vila paddock this morning and I noticed that it was greener than expected. 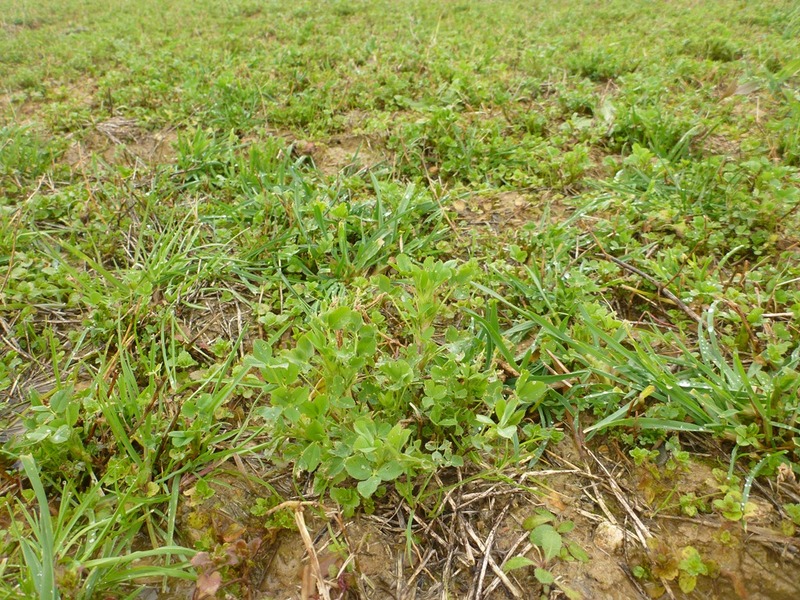 What weeds were growing over the winter while the alfalfa/lucerne was sleeping? Maybe the orchard grass/cocksfoot/dactyle had started early? Well, no. That’s alfalfa growing in January. Elsewhere on the farm it is hibernating with the bears, but in Vila it is growing away. Vila is south-facing and maybe that extra heat in the soil makes all the difference. I was expecting the alfalfa to show up in April. Maybe we’ll get a February cold snap to kill all this back, maybe it will keep on growing through winter. It has survived a handful of frosts already. It has been a mild winter so far. 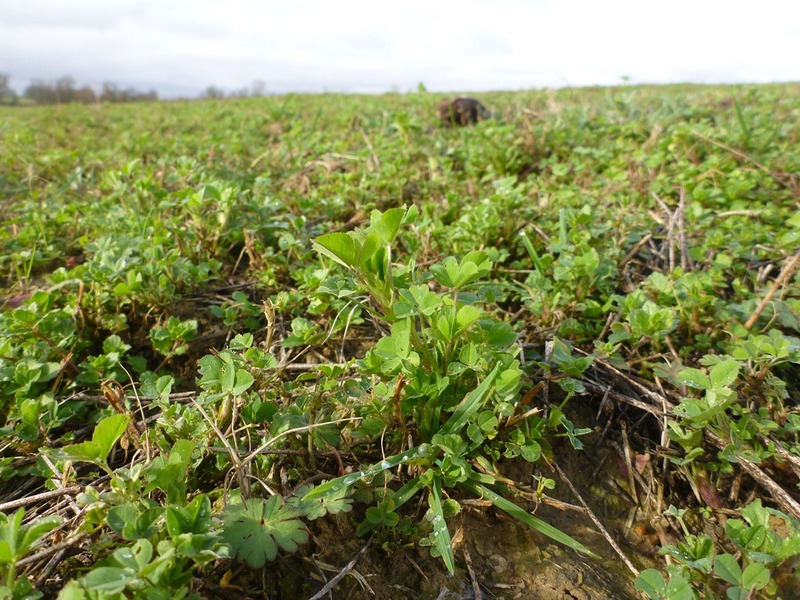 Do you know your alfalfa’s fall dormancy and winter survival rating? It may be different than in the US. Amazing warm weather. We’ve been below zero F here. I don’t have any numbers for the seed. I have seeded the same seed elsewhere on the farm and it is has been dormant the last couple of months. I’ve seen the harsh winter photos on your blog. The minimum here has been about -4C which is about 25F. Balmy and tropical. The risk of bloat gets higher for a few days after the first killing frost. 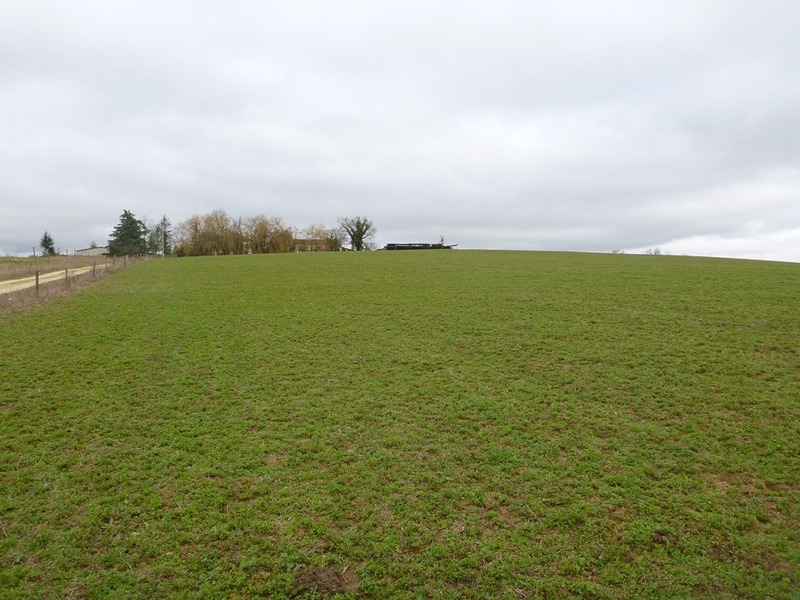 All our fields are either seeded with orchard grass or old enough to be full of ryegrass and other non-legumes so there’s no pure stand on the farm. My biggest worry is damaging the alfalfa and lowering its value next year. The alfalfa is still growing which I find just stunning. We could get a big frost in February like we did last year which could damage the crop but there’s not a lot I can do about that. It looks pretty right now, in fact the whole farm looks super green.